There is a certain very real appeal to the power of slam. Sure it's not really a genre that I listen too a lot and it's one that I in fact love to pick holes in whenever I can. It's so inherently ridiculous that without a bit of a sense of humor you just wind up in the same self destructive pit that I think makes so much metal so silly. Eye Of The Destroyer seem to realize this though and through the at times death metal dungeon level production they have been able to create something that is weirdly appealing with Starved And Hanging. 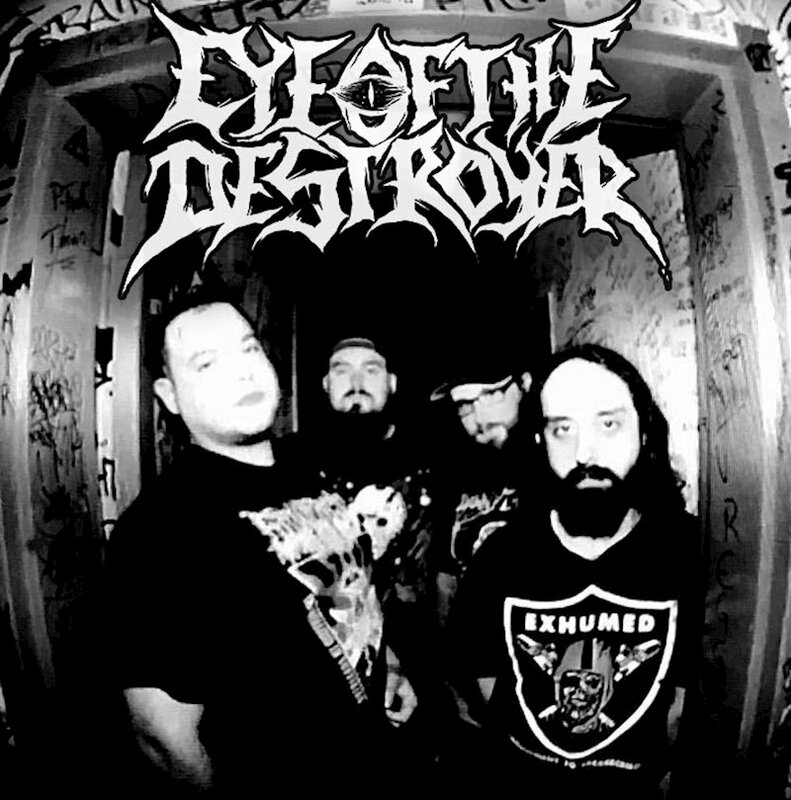 What makes Eye Of The Destroyer so special isn't just their ability to execute on the tropes that make slam great as a genre, with the highlight perhaps being the insane gutturals on Crushed Between Earth And Bone and the pummeling sludge of the title track. What makes them special is the delicious sense of groove that defines so many of these songs and the sort of anarchistic teeth rending power of their bottom end. There is something here that you can really sink your teeth into and it's this selfsame ability to really find yourself totally lost in the music that serves to make Starved And Hanging so addictive. Sure there are a lot of limitations on this record but that's part of the beauty of underground death metal and the fact of the matter is that if Starved And Hanging had high production values then it really wouldn't be something worth listening too. as is it's a record that has incredible relisten value and continually presents fresh new ideas that keep you mesmerized as you delve even deeper into the pit of devastation that Eye Of The Destroyer have proudly cultivated in these four devilish offerings from the crypt.